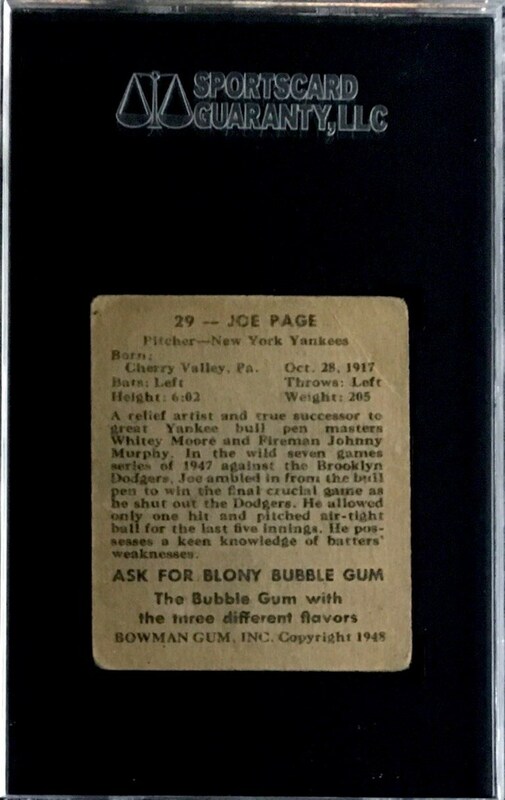 Up for your consideration is a 1948 Bowman #29 Joe Page Rookie SP card. Nicknamed "Fireman" Page is widely known for his relief pitching for the Yankees. He was a three time All Star and a two time World Series champion. 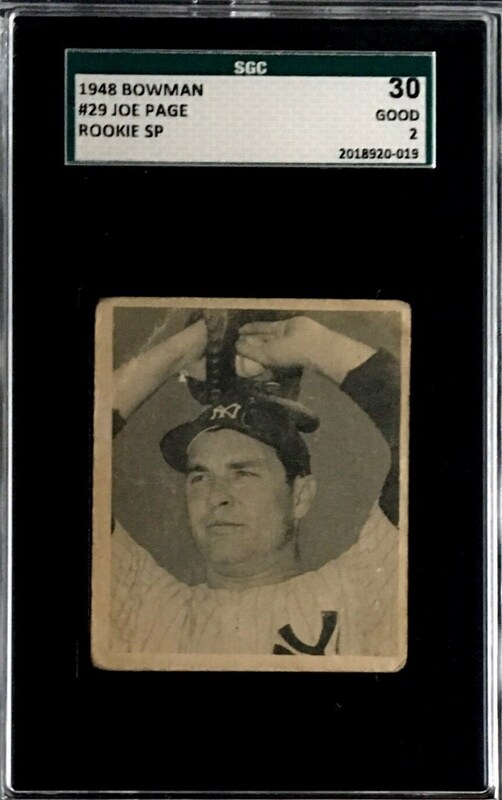 Card has been graded a SGC 30.